What kinds of symptoms show that I might need a root canal? Excessive sensitivity to hot or cold temperatures, even after the hot or cold source has been removed. It’s simple enough – once Dr. D’Amico or Dr. Mauck have carefully checked the area around the affected tooth in order to determine whether there’s any infection in the surrounded bone, we’ll access the inside of the tooth and the pulp and bacteria will be wholly cleaned out. Your tooth is then sealed. All that’s left then is to see if you might need any further restorations to full functionality. The procedure is incredibly successful, and many teeth that have been treated go on to last a lifetime. 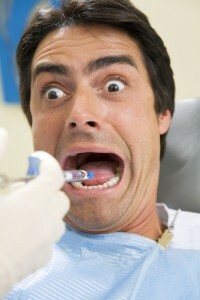 And don’t worry – pain during root canal treatment has been greatly exaggerated. Most people report that it hurts no more than when receiving a common filling. If you think you may be in need of root canal treatment, don’t wait any longer! Dr. D’Amico, Dr. Mauck and their excellent team can provide you with comfortable and effective service that’ll be sure to keep you smiling. Call our office in Aurora today to schedule your consultation. Our office serves patients from the greater Denver area as well, including Centennial, Englewood, and Parker.